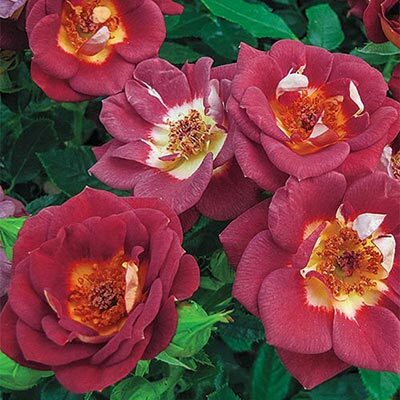 You can spice up your garden with a boost of color by adding the fiery miniature Hot & Sassy. The vibrant & bold scarlet color has a livelier impact in the landscape with the large bright yellow eye that shows like an inner glow! The tidy & rounded plant with its dark glossy green foliage is in perfect proportion with the flower size. The full and densely foliated plant mirrors the energy and life of the shapely buds and vivid rounded flowers. Whether it's in a patio pot or tucked in a garden border, this abundant bloomer will surprise you with its very novel purple-blue finish that is just enough to cool down the show!